Excellent German design and high quality don't necessarily have to be expensive. 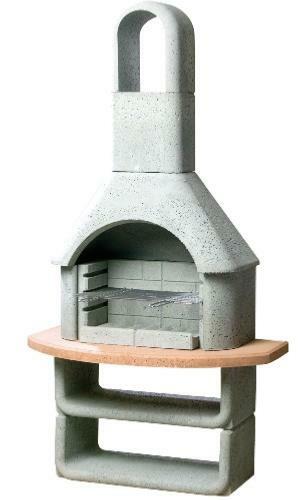 This Buschbeck Kortina masonry barbecue offers stylish contemporary design. The natural grey and terracotta body sections will suit any type of garden setting. If required the Kortina can be painted with masonry paint to match any particular colour scheme required in your garden. 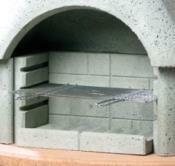 Super full size masonry barbecue for self assembly to give your garden a Mediterranean look. The Kortina has four adjustable cooking heights and includes an heavy duty chrome grill with plenty of space to grill on for small or large BBQ parties. Grey masonry barbecue with terracotta / brown worktop. Only charcoal / briquettes can be used.